Pte. Sébastien Courcy, from a regiment based in Quebec City, died during operations in Panjwaii Thursday, becoming the 125th Canadian soldier to die in Afghanistan since the mission began in 2002. A Canadian soldier fell to his death Thursday while conducting operations in the Panjwaii district of Afghanistan, the Canadian Forces said. Pte. Sébastien Courcy from 2nd Battalion, Royal 22nd Regiment, based in Quebec City, was killed in an incident that occurred approximately 17 kilometres southwest of Kandahar city at around 6 a.m., the military said in a statement. He was the fifth Canadian soldier to die in Afghanistan this month, along with at least 42 other NATO military personnel. Courcy, 26, arrived in Afghanistan in April and was part of an operation to separate the insurgency from the population in Panjwaii district, said Brig.-Gen. Jonathan Vance. "During this operation, Sébastien fell from the position he was occupying on a piece of high ground, resulting in his death," Vance said. The young soldier had joined the military in 2006. This was his first deployment in Afghanistan. "Pte. Courcy served valiantly alongside his comrades to help build a better and brighter future for Afghans," Prime Minister Stephen Harper said in a statement. 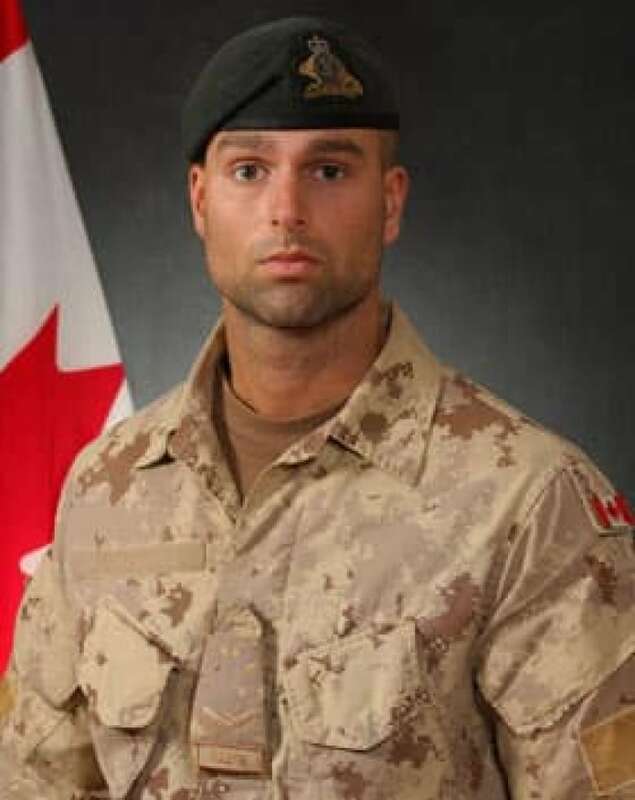 "His tragic passing illustrates some of the risks that the selfless men and women of the Canadian Forces face every day in carrying out their duties." Courcy is survived by his mother, Ginette, and his sister, Julie. He is the 125th Canadian soldier to die since the Afghanistan mission began in 2002. Earlier this month, Master Cpl. Patrice Audet, 38, and Cpl. Martin Joannette, 25, were killed in a helicopter crash at an American forward operating base in Zabul province. Cpl. Nick Bulger, 30, was also killed this month when the convoy he was in struck a roadside bomb in Afghanistan's southern Zhari district. Master Cpl. Charles-Philippe Michaud, 28, died from injuries he received on June 23 when an improvised explosive device detonated near his dismounted patrol in the Panjwaii district.